Many dreams can be off-putting if not downright disturbing. They can feel real and play on our deepest fears. Bad dreams can also make it harder to get back to sleep. Learn proper nightmare prevention and how to avoid sleep anxiety every single night! What is a nightmare? How easy is nightmare prevention? Nightmares are defined as dreams that bring out strong feelings of fear, terror, distress or anxiety. They feel more vivid or intense than a bad dream. Nightmares are often differentiated from dreams when they cause the sleeper to actually wake up and experience intense feelings upon waking. People who awake during a nightmare are likely to remember the details of it. While you are snoozing, your brain is pretty busy during certain times of the night. During Rapid Eye Movement sleep, brain waves exhibit activity fairly similar to waking, and your brain is consuming as much if not more energy than when you’re awake. 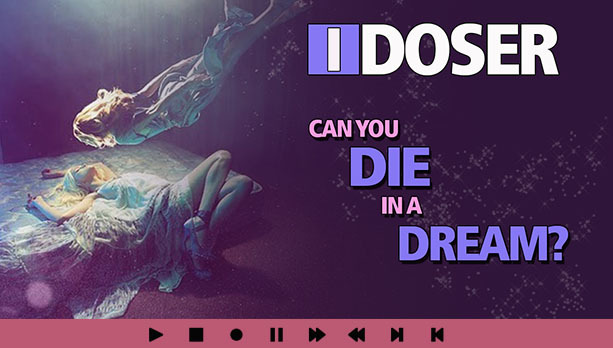 This is why using binaural beats from a dream alignment company like iDoser.com has become very popular in sleep alignment. During REM sleep your brain is still firing off commands in the motor cortex as you move around your dream world. Nightmares typically occur during the REM phases of rest, showing up in the latter half of your sleep. So how can you prevent sleep anxiety? Little is known about why we dream in general, but popular theories range from managing subconscious thoughts, to sorting out memories and learned information, to purely random chemical signals. There also isn’t much information on exactly why dreams sometimes turn out to be nightmares, but it’s believed that some daytime factors can play an influential role. How can we do active nightmare prevention? A literature review found that 85% of adults report at least one nightmare the previous year, 8-29% have monthly nightmares, and 2-6% report weekly nightmares. Older adults are 20-50% less likely to have nightmares compared to younger adults. These number drastically drop when using an active alignment technology like iDoser.com or other binaural-based sleep technology. It has been proven to help avoid sleep anxiety in many users. What causes nightmares? Controlling nightmares remains largely uncharted territory. There are few different schools of thought when it comes to managing bad dreams. There are ways for proper nightmare prevention. For many people nightmares aren’t really a major nuisance, but if they do wake you up more than you’d like or you have trouble settling down afterwards, here are couple of potential ways to go about preventing them or reducing their severity. Stress and anxiety can come in many forms, from temporary everyday things like moving to a new place, changing roles at school or work, or failing at a task, to more major things like divorce, losing a family member, trauma, or anxiety disorders. Poor sleep can cause stress. Both may also trigger a nightmare. Remember, you can avoid sleep anxiety if you tackle your non-sleep anxiety first. Anxiety regarding performance is one a common theme you may have recognized in your own dreams. For example, about 15% of German athletes in one study reported distressing dreams before a big event, most often involving athletic failure. Many students also experience bad dreams related to impending tests or finals, sometimes even years after they’ve finished school. Nightmare prevention is possible though. Keep a healthy diet and try to stay as stress-free as possible. Using meditation, active induction technology like iDoser.com, and other brain alignment technology has been shown to help in users with night terror or vivid nightmares. The idea that scary movies, thrilling or suspenseful shows, or even fear-inducing news broadcasts cause bad dreams is expressed anecdotally. While difficult to study, many of us can recall a time where visual imagery and situations from media popped up in dream content. Scary movies can also cause stress and anxiety for some people (setting the stage for distressing dreams). An older study of college students found that 90% could recall a frightening TV, movies or other media experience. Half said it had affected their sleep or eating habits in childhood or adolescence. We can start to see why nightmare prevention is important. So how do we avoid sleep anxiety? More surprising is that about one-fourth of the students said they still experienced some residual anxiety. Blood, injury, disturbing sounds, and distorted images were the most prevalent types of phobia-inducing stimuli the researchers identified. Severe depression and a negative self-attitude can also cause problems. A recent large Finnish study shows this association with nightmares. Depression actually proved to be the strongest predictor in their research, with 28% of sufferers reporting frequent nightmares compared to the sample average of 4%. 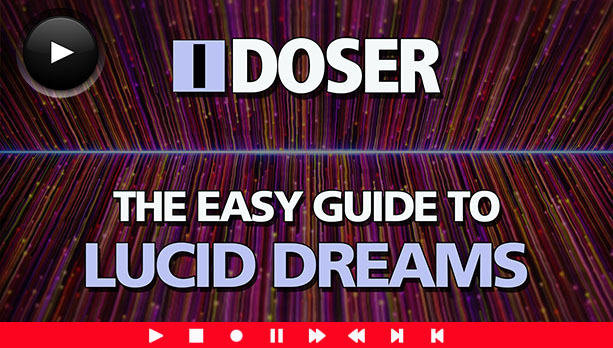 The good news is that 80% of users are able to manage nightmares with health, meditation, and active induction technology like iDoser. 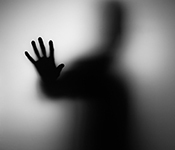 Controlling nightmares remains largely uncharted territory. There are few different schools of thought when it comes to managing bad dreams. For many people nightmares aren’t really a major nuisance, but if they do wake you up more than you’d like or you have trouble settling down afterwards, here are couple of potential ways to go about preventing them or reducing their severity. Other approaches can focus on routines or working on areas of your life that could be contributing to stress or fear. Stress causes poor sleep, as shown in The American Psychological Association’s 2013 Stress in America poll. Bad sleep causes high stress. When you’ve had a tough day, take a few minutes to de-stress before bed. Nightmare prevention happens all day. Try a warm bath, relaxing music, yoga or other techniques to see what helps you most. Progressive Muscle Relaxation is another method we recommend for nightmares. It involves gradually tensing and relaxing different groups of muscles all over the body to reduce stress and tension. Avoid watching or reading things comprised of common nightmare fodder close to bed. That scary movie, suspenseful book or unsettling news broadcast could wind up in your midnight playlist. Better choices for winding down if you are looking for more peaceful sleep are lighthearted shows, calming music, coloring/sketching, or neutral reading on subjects like self-improvement or hobbies. Remember, electronics like TVs and tablets steal sleep, so it’s best to turn them off at least 30 minutes before bed. To avoid sleep anxiety, you have to actively balance your stress. For music, try active audio like binaural brainwave doses. Try to stay away from passive or negative audio like subliminals or ASMR before bed. Engaging in lucidity can also help. Try dream journaling and dream awareness to help ease nightmares. There is help if you suffer from sleep terror, and many people actively manage their sleep every day. I have been using a combination of meditation (in the morning), yoga (in the evening), and binaural brainwave dosing before each of my wellness sessions. I honesty can’t even remember the last time I has sleep terror. For me it was diet. In college I ate garbage and drank a lot. I had constant nightmares of at least 2-3 a week. When I graduated my diet cleaned up and my excess drinking stopped. I now barely ever have nightmares. Use good binaurals. I use idosing and the monroe institute. Not only do I barely ever have nightmares, but I have been able to use them to control my dreams. If you lucid more you will definitely have less nightmares. I was heavily using those fake youtube subliminals and some ASMR and started having nightmares. Come to find out the youtube channel owner of the subliminals channel was adding negative connotations into the sequences. Lots of “subscribe to my channel, unsubscribe from their channel” kinda negative stuff. Seems lots of channels are doing that. This will totally mess you up. You can try some white noise or nature sounds to sleep to. That has helped me. I know binaural beats seem the way to go but they never worked for me. Although I haven’t tired idosing. Is that all that much better?